When it comes to employees' health, here at the City of Houston, each employee is valued for their individual skills, talents and contributions to the success of the city. And when it comes to employees’ health, we empower employees with a comprehensive set of benefits designed to protect their physical and emotional health. 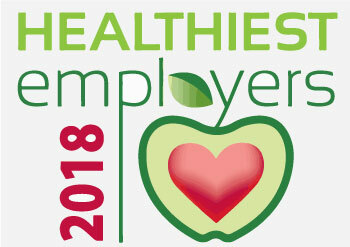 The City of Houston Health and Wellness Program is honored to be selected as a Finalist in the Houston Business Journal’s Houston’s Healthiest Employer Award in the category for “Extra Large Employers” (5,000 or more total employees). We receive this designation with other distinguished employers such as Baylor College of Medicine, BP, Chevron, Harris Health System and more. We could not have achieved this designation without the hard work of our employees like you who improved their overall health and wellbeing by participating in our various Health and Wellness Programs. To thank our employees for helping us to reach this designation, the City of Houston has awarded all City of Houston Employees who completed the entire 2017-2018 Wellness Program (online health assessment and one wellness engagement option) with a Cigna Healthy Awards Account in the amount of $35. Employees may utilize these funds for medical services such as physician visit copays, pharmacy claims, and inpatient/outpatient hospital facilities. Funds will expire April 30, 2019, so employees must utilize them prior to this date or the funds will be forfeited. Please review these instructions below regarding your specific medical plan and how to utilize your Healthy Awards Account for specific medical expenses. *Cigna will pay back for eligible expense via check. To access your Healthy Awards Account, check balances, and track transactions, login to MyCigna.com, hover over “Manage Claims & Balances” and click on “Balances & Account Transactions”. For questions or assistance with your Healthy Awards Account, please contact an Onsite Cigna Representative at 832-393-6191, 832-393-6192 or 832-393-6193. In addition to traditional benefits, we offer plans to protect you against medical unexpected events. The City of Houston offers plans that will assist you with your medical day to day and make the most out your finacial future. A dependent child who is 26 or older, primarily supported by you, and incapable of self-sustaining employment by reason of mental incapacity, physical disability or handicap which arose while the child was covered as a dependent under these plans, or while covered as a dependent under prior city plans without a break in coverage. Upon applying and receiving third party medical administrator’s approval, proof of the child’s condition and dependence must be submitted within 31 days or the child ceases to qualify for benefits. Dependents (children and grandchildren) for whom a court order has been received requiring the employee to provide healthcare coverage, provided HR Benefits receives the court order within 31 days after issuance. After a divorce, an ex-spouse is not eligible, except by court order issued at the time of a divorce. A divorce decree may be amended to require a retiree to cover an ex-spouse under a city medical plan. Changes to your benefits are limited to open-enrollment periods, unless you have experienced a qualifying life event. If you decide not to enroll in this plan now, then want to enroll later, you must qualify for special enrollment. If you do not qualify for special enrollment, you may have to wait until an open enrollment period, or you may not be able to enroll, depending on the terms and conditions of your health plan. Please contact your plan administrator for more information. To add or remove yourself and/or dependent(s) on your benefits coverage, submit the Benefits Eligibility Processing form with the appropriate documentation within 30 days of your date of hire or 31 days of your qualifying life event. If you do not submit these documents timely, benefits' elections will not be processed. The next opportunity to process elections will be during the next Open Enrollment. To see full plan documents please visit medical benefits page. Outside of Open Enrollment, you can change your benefit coverage only if you experience a qualified life event. You have just 31 days to change your plan, so don’t wait to inform Benefits Customer Service. Marriage, divorce or legal separation. Adoption or birth of a child. Death of a spouse or child. A child on your policy turns 26. Taking or returning from a leave of absence. A change in your work schedule that causes you to gain or lose coverage. Change in residence or work location of you or a dependent on the policy.